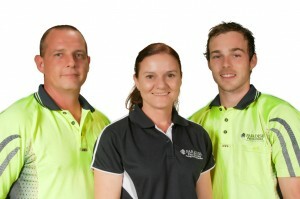 Looking for professional removalists or packers unpackers Brisbane? You found us. We are a family-owned and operated professional removalist and packing company, providing a caring and professional service in the Brisbane and Gold Coast area since 2005. We specialise in providing a moving experience that you need to see to believe. An experience where you don’t lift a finger, yet move into a fully assembled and unpacked house, and just start living again from day one. Read more about our Platinum Service here. The royal treatment described above does cost a bit more and isn’t for everyone, so we also offer removals with partial packing or DIY packing. These options will suit anyone who has more time and patience for packing & unpacking, and allow you to save on the overall costs of the move. Read more about our services here. Regardless of the service you choose, we treat ALL of our customers like royalty, because we live and die by our customer service. The great thing is you can customise our services to your exact needs. For example you might be happy to pack most things but the thought of wrapping up every plate, glass, and coffee cup you own (to prevent breakage during the move) might just make you shudder. Many of our customers feel this way and have us pack just their kitchen and other fragile items such as mirrors, artwork, and televisions. This way you can avoid the most finicky jobs, yet still save money by packing your own clothes and general household items. Learn more. Owner Michael Smith has extensive experience in the removal industry in Australia, New Zealand, and the United Kingdom. He and wife Sandy (also one of our highly experienced professional packers), lead a team of quality packers and movers, whose aim is to make the experience of moving as easy and stress-free as possible. We do not use ‘white glove’ outsourcing services for packing or house setup or bed making. Those tasks are taken care of by one of our lovely ladies who are caring and very experienced in helping our customers settle in. We have moved hundreds of very happy households and businesses since 2005, and they repeatedly trust and recommend us. We pride ourselves on making them “customers for life”.